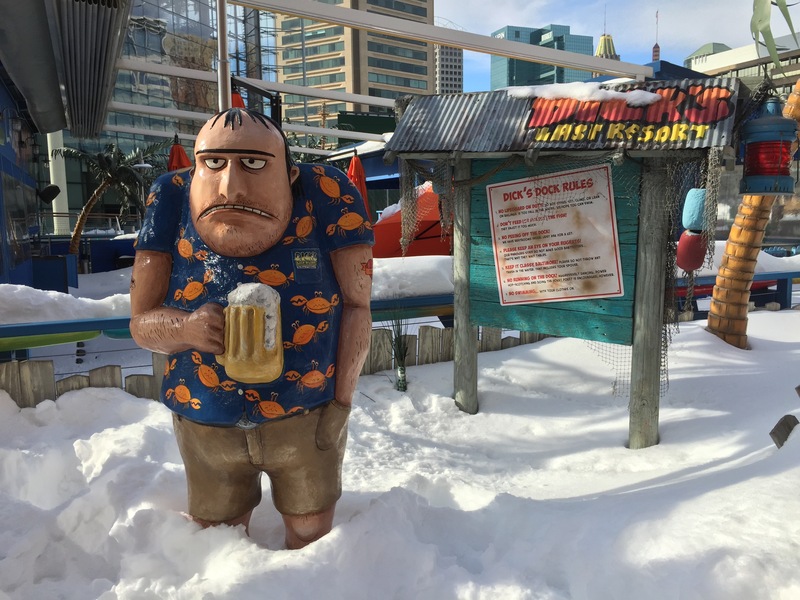 I’m sure many people in the Mid-Atlantic region feel like this guy regarding snow after getting hit by the recent blizzard. Personally I’m hoping for more as snow provides good photography opportunities. Through The Lens 16 – Snow! With a blizzard bearing down on the east coast I thought I would share one of my all time favorite snow photos. I drove to Williamsburg the morning after a snowstorm to get this shot of the Wythe House framed by the trellis in the Wythe House gardens. Williamsburg doesn’t get snow very often, but when it does snow, it’s worth a trip to see it. Winter has finally arrived after an unusually warm start. Let’s take a look back at a cold snap from last year at Great Falls along the Potomac River. It had been very cold for about a week so I thought I’d try shooting sunrise at the falls hoping for some ice buildup on the rocks. I ended up going twice since the first sunrise didn’t amount to much due to clouds forming minutes before sunrise. Here’s one from the archives. Several years ago, I had the privilege of attending a Digital Landscape Workshop Series (DLWS) trip to Yellowstone, led by Moose Peterson, Joe McNally, Laurie Excell and Kevin Dobler. The trip was the perfect mix of shooting time in the field and classroom time, allowing everyone to leave with amazing images and new skills. Unfortunately DLWS disbanded a couple of years ago. Edit: Due to user error technical difficulties, this post failed to publish as scheduled. With the first post of the new year, I would like to thank everyone for stopping by and following along. As I’m writing this, I find that I’m way behind on editing images from trips to the Cass Scenic Railroad and Great Smoky Mountains National Park from this past fall. I hope to get those wrapped up and trip reports published in the near future. The coming year looks exciting photographically with two railroad photo charters and an airshow already on the calendar and possibly a National Park trip somewhere in there as well.